With a simple swipe of a smartphone we launch into controlling and connecting to the world around us. Why does a physician treating patients interact with outdated machine user interfaces to provide a diagnostic? Why does an operator in a factory cycle through dull menus on a tiny screen to accomplish their daily tasks? The answer should be; they don’t! But within the world of industry, where operational efficiency is paramount, the machine user interface has for too long been a hindrance. 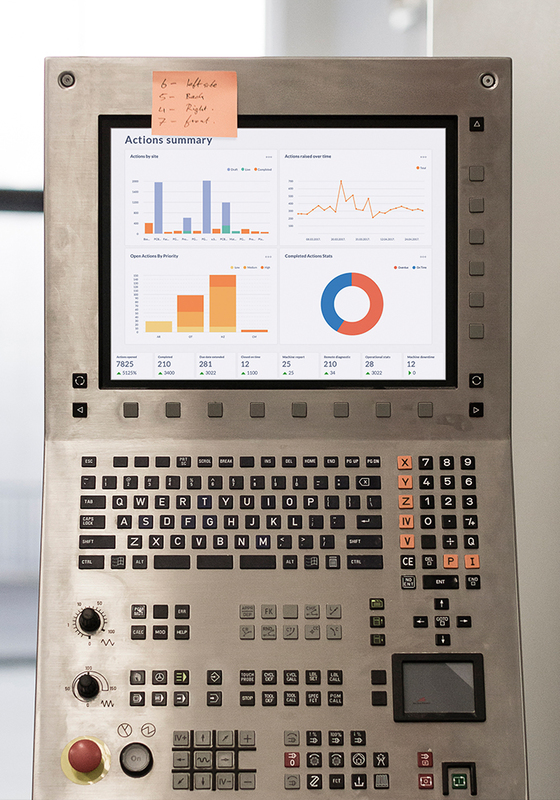 Overly-complex implementations of the Human Machine Interface (HMI) is negatively impacting global productivity – a problem that can be turned into an advantage with good design. 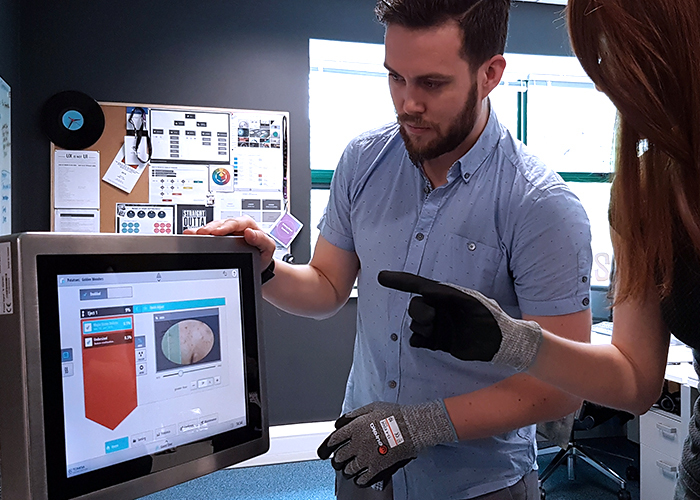 As consumer devices continue to raise people’s expectation of user interface design, a ‘good enough’ digital interface is no longer acceptable on professional equipment. 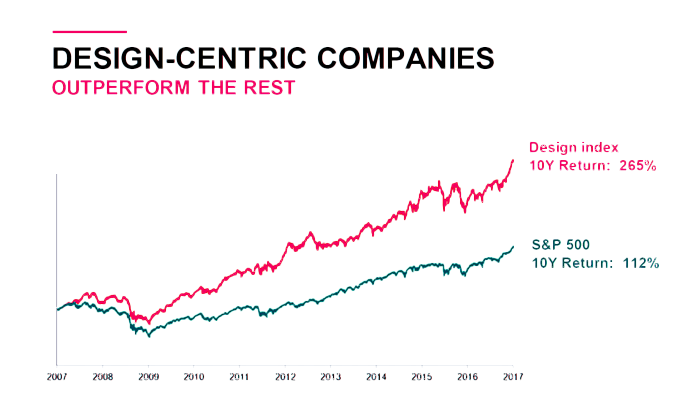 Although great design is still primarily attributed to large consumer brands such as Apple, Nike, Samsung and Google, a growing number of pioneers within the industrial world (like Tomra or Honeywell) are realising the competitive advantage of developing design-centric strategies and user-centric experiences. Design begins at the top. Leaders in these companies are asking; Do our products and services reflect our ambitious brand values? Are the various user touch points holistically designed? Can a worker can move effortlessly between our different machines? Are our customers empowered? Industries such as healthcare, manufacturing or energy where HMIs are prevalent, are particularly slow in capitalising on the value of good design. We have identified a number of methods to implement when designing new user interactions that correlate with increased competitive advantage. Below are three design practices illustrating how a superior Human Machine Interface can lead to various forms of competitive advantage, highlighting the user experience principles to consider in the process. Successful brands don’t consider products in isolation. They consider a system-design approach, where complete services with multiple touch points are designed holistically; from machine user interfaces, to desktop portals, to mobile/cloud UI, to the machines themselves. Ensuring a consistent, high-quality experience across all touch points is a brand-building strategy. It limits user pain-points, enhances brand awareness and elevates a brand’s status in the eyes of your current and future users. Think holistically about every way a customer will interact with your brand. Set out a strategic vision to consolidate all the disparate touch points into a singular, intuitive experience. Customers don’t distinguish between physical and digital interactions with brands, so ensure they are designed to reflect a unified vision. We interact with our phones over a hundred times a day, meaning a single bad design decision can repeatedly irritate us from sunrise to sunset. A poorly placed button, a slow-loading page, an unexpected outcome to a task can all lead to frustrating experiences. Of course, a good user interface isn’t simply how it looks; it’s how it works, how it makes us feel, how eager we are to continue using it and how it fits seamlessly into our daily routine. If that error existed on an interface design used to perform critical tasks, like synchronising production lines, or optimising a machine’s throughput, it would impact productivity to the point of operator frustration, loss of performance and even affect safety of the worker and the end product. 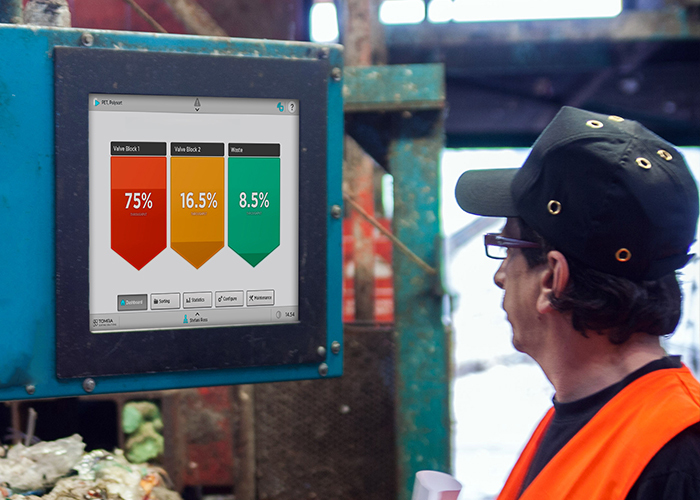 A well-designed HMI can promise customers faster throughput and reduced down-time. To achieve this optimisation, start with a focus on the operators on the front line. Understand their needs and motivations. Spend time with them to find insights on how they really use the system, how they take shortcuts, how their experience can be enhanced and how potential risks can be mitigated. For instance, if information is displayed on the screen that is not critical to their task at hand, remove it. Or, in a highly automated system where operators are not always near the screen, the information should be visible from a distance (and at-a-glance). Or, if there is an issue with the machine, guide them towards resolving the problems through the UI. 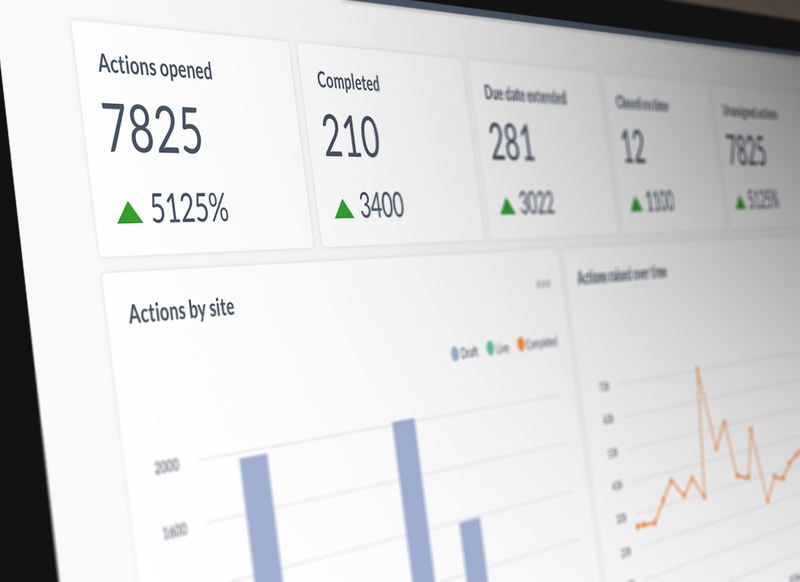 Let those insights drive optimised processes that keeps users in a constant state of flow. Testing, iterating and implementing this process will lead to measurable improvements in efficiency as well as unlocking a valuable side effect – increased job satisfaction. Which happens to elevate a user’s productivity even further. Industry 4.0 offers an abundance of avenues for businesses to innovate; machine learning, augmented reality, artificial intelligence…etc. They all hold the promise of a future where services are automated, issues are anticipated, and decisions are clearer. Connectivity markedly adds customer value – the ability to upgrade software periodically as well as benefits like predictive maintenance and remote diagnostics. However, a large side effect of this exceptional evolution is sensory overload – mountains of data that require siphoning and interpretation. Complicated arrays of information can be transformed into beautiful, interactive tools when the relevant data is handled with care and consideration; shifting the perception from perplexing to intuitive. Smart use of data visualisation and interactive infographics provide users with lots of dynamic feedback while reducing their cognitive load. This can be particularly true when considering the advantages of augmented reality in the industrial context. By removing complexity and presenting the most meaningful data in a clear and concise manner, you achieve greater user engagement and build innovative differentiation into your service. The industry is slow in harnessing the value of design, meaning now is the time to leapfrog the competition. Making design both strategic and actionable can provide better customer experiences, optimise efficiencies, reduce costs and build market recognition. When developing new Human Machine Interfaces think holistically about all the user touchpoints. Find insights from the operators on the front line that lead to dramatic optimisation. Innovate with data by removing complexity and being smart about how users interact with it. Focusing on these three design practices will set the solid foundation for growth and progress.